Spend endless hours counting sheep at night? Find drifting off into the land of nod a real struggle? Well, somewhat unsurprisingly, the mattress we choose plays an extremely important role in how well we sleep. Regardless of this fact, it is all too often something that is persevered with for many years in an attempt to become accustomed to it. Finding the right mattress can be a real struggle, but now you don’t have to. Transform your tired old mattress into the luxurious bed that you dream of with this Bamboo Mattress Topper. Intricately crafted, this memory foam mattress looks just as incredible as it feels and is constructed in responsive layers for optimum comfort. Once you find the perfect position it will gently hug your body, helping you to drift off with ease, springing right back into shape the very next morning when you get up. Softening and moulding to your body each and every night, you’ll feel as though you’re receiving a luxurious massage as those pressure points are relieved. The unique topper is encased in an aloe vera impregnated jacquard cover on one side, and on the other it is wrapped in bamboo and cotton that has been woven together without the use of any harmful chemicals. 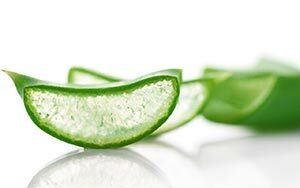 The aloe vera aids relaxation and will help your muscles to relax after a long, hard day. It is also highly acclaimed for its rejuvenating, healing and soothing properties, making it ideal for those that suffer with eczema or that have sensitive skin. So why not top off your day with luxurious comfort? Want to wipe out dust mites? Think your home is way too clean to have dust mites? Think again! Dust mites will find a way into even the very cleanest of environments. It takes as little as 1 gram of dust to accommodate up to 19,000 of the creepy crawlies and in many cases, cleaning will do little to eradicate them. When dust is propelled into the air it can simply settle on other surfaces or cling to fabrics. Additionally, because dust is constructed from a variety of different substances, many traditional cleaning products will struggle to eliminate it completely. Even more surprising, perhaps, is that dust and dust mites will make their way into our bedding too. More than 12 million people in the UK suffer from allergies as a result of dust mites. Allergy UK refers to it as “home fever” because the symptoms are remarkably similar to hay fever. Some obvious signs could include a runny nose, itchy eyes and sneezing. However, something as simple as lack of concentration, struggling to wake up in the morning or feeling generally unwell could also occur as a result of this type of allergy. Bamboo does not provide the appropriate living environment for dust mites. As such it makes the perfect fabric for bedding. Now you can wake up feeling refreshed each and every day. Don’t be bugged by dust mites! Not only does bamboo bedding feel silky smooth and soft against even the most sensitive skin, it is also a much healthier and eco friendly option than fabric made purely from cotton. Bamboo has an internal agent which means that it does not require pesticides or fertiliser to grow. It also needs very little water. Cotton, on the other hand, requires the extensive use of chemicals during growing, as well as for the treatment of the fabric. Some chemicals may be retained within the fibres, meaning that this has the potential to be absorbed by our skin. So not only is bamboo the eco friendly option, it is the healthy option too. It even absorbs more carbon dioxide and releases more oxygen into the atmosphere than cotton. Boo Living bamboo is sourced from an FSC accredited supplier with high conservation values. Bamboo is naturally antibacterial, antifungal and hypoallergenic. Plus, there’ll be no nasty dust mites waiting in the wings to cause you distress. The fabric is breathable and clever layering ensures that you are always at the ideal temperature to get the perfect night’s sleep, whether the height of summer or the coldest nights of winter. We’ve planted the seed... now it’s up to you!